Discover the joys of finding buried objects which haven’t seen the light of day for years! Metal detecting is a rewarding hobby in more ways than one! Not only do you get the thrill of finding hidden treasures, but also benefit from the light exercise that comes with the hunt. Who knows, you may even lay your hand on some really valuable treasures like lost jewellery, old coins and precious metals when you have the Kogan Deep Target Waterproof Metal Detector with you! Can distinguish between iron, gold and silver! 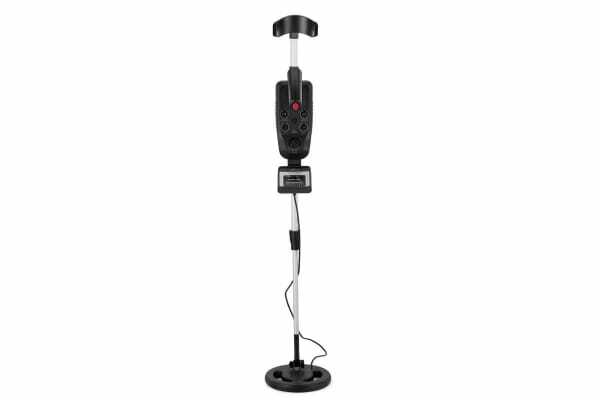 The clever combination of circuits in the Kogan Deep Target Waterproof Metal Detector gives it the capacity to distinguish between ferrous metals (iron, steel) and non-ferrous metals (gold, silver). The coil in this metal detector is hardy enough to be submerged in water up to 20cm, so you can hunt for treasure hidden underwater too! 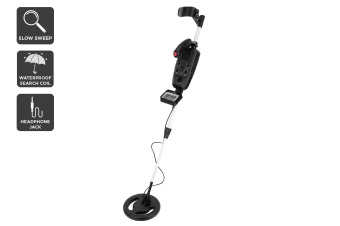 Use this metal detector anywhere from loud noisy places to quiet serene places! The inbuilt headphone jack lets you attach headphones allowing you to hear the signal loud and clear without disturbing others. Both professionals and treasure enthusiasts just starting out will find the Deep Target Waterproof Metal Detector cost effective and perfectly suited to their needs. Adjust the length of the handle according to your preference and set out on an exciting treasure hunt at the beach, in the field, or even on the streets! Only trialled the product around the yard so far and appears to be accurate. Product as described in online store. Great product for the price. Fun to use.